Do the words “Party Bag” cause you to cringe or break out into a sweat? Do you dread receiving a bag full of plastic trinkets and lollies? We love these! They can be customised to suit your party theme, whether that be cars, dinosaurs or unicorns. These jars are plastic and are readily available at bargain shops for around $1 and you then just glue on whatever you like to the lid of the jar. We used a hot glue gun for these figurines. The best bit is that these jars can be used over and over again to store all sorts of little treasures. Everyone loves bubbles and they are as low as $0.50 each in most department stores now! 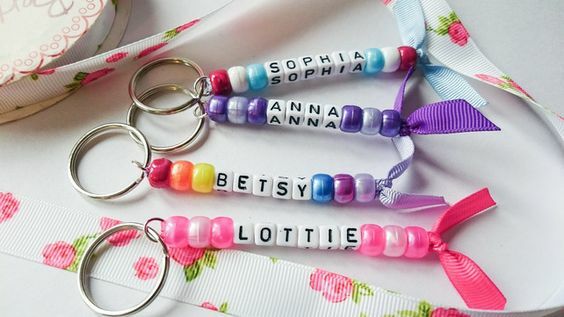 Add a personalised swing tag to make it extra special for your guests. You can have a bucket of these by the door to give to guests as they leave. One for the older ones (tweens perhaps). To give a living gift as a momento of the party is really cool. You can get similar ones to this one for under $5. Alternatively you could give guests a packet of seeds that they can plant once they’re home. Kmart has a great range for as little as $1.50/packet. You could make a simple Word Search using the guests names as the words to find. These can be easily printed and rolled up into a scroll ready to give out at the end of the party. If your theme has anything to do with animals this is a gorgeous idea. 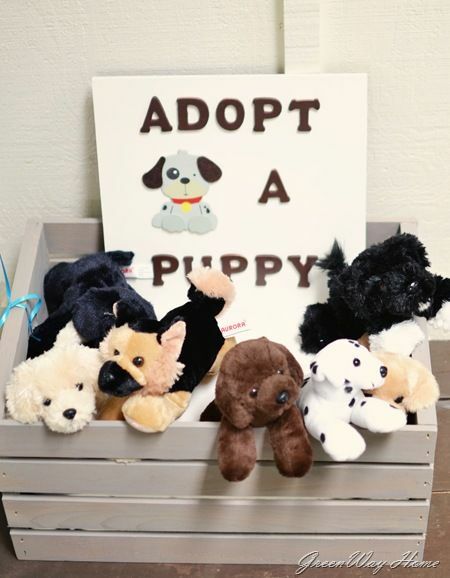 Fill a box with soft toy animals and the guests get to pick one to “adopt” and take home. We have also seen this done with different types of dinosaurs which looked really cool too. These are simple to organise. 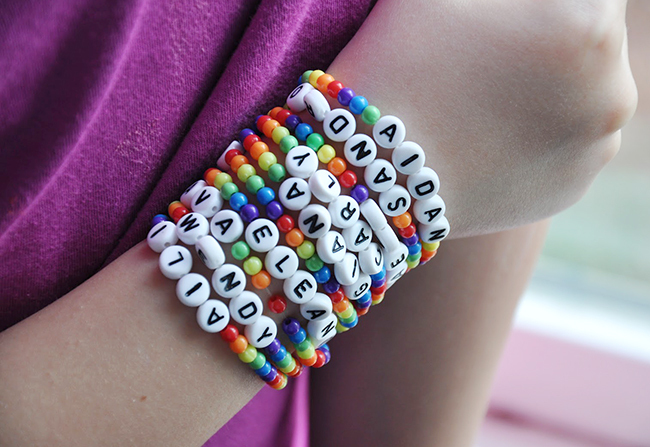 You just need some thin elastic, beads, alphabet beads and a small bag to pop them all into. Your guests can make their creation when they get home. 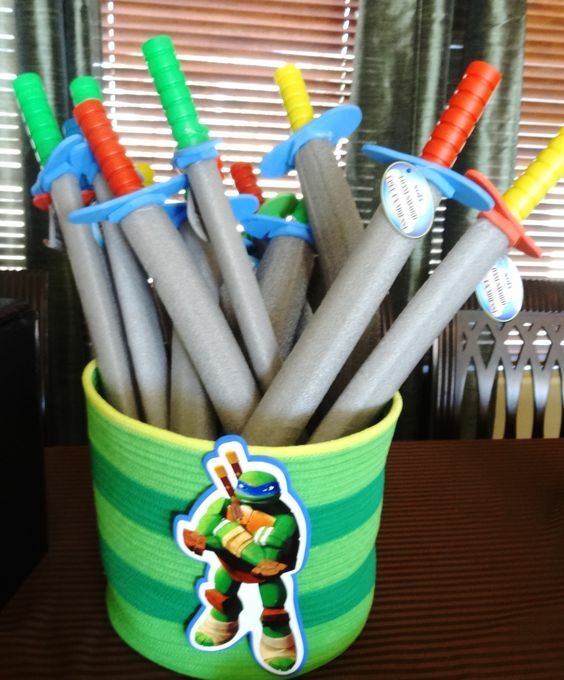 These foam swords can be used at all sorts of different parties (Ninja Turtles, StarWars, Pirates, Knights etc.) They are around $2 each at most department stores. A bucket of these beauties by the door, to give to guests as they leave, would definitely be a hit!! So, you can see that you don’t have to spend a lot of money on plastic and sugary treats. 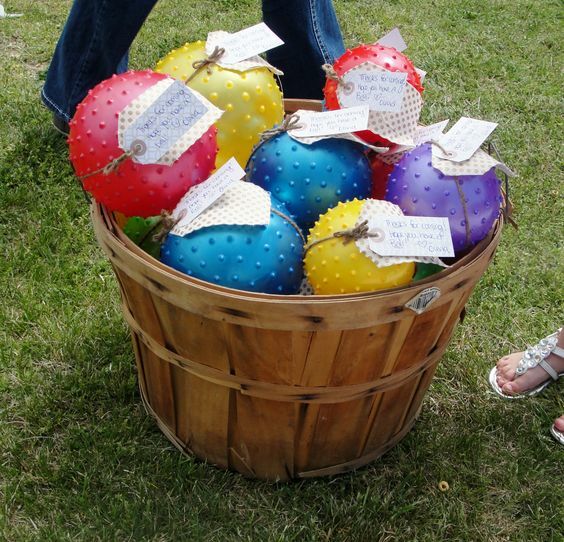 Instead you can give a long lasting, thoughtful momento of your child’s party that the guests are sure to love and treasure.